If you placed an order this week, please pick up your order at the location you selected between 4:30 and 6:30 today. Looks like we may have some messy weather! See you all shortly! Local Farms First: Order Pick Up Reminder! Don’t forget to pick up your order today between 4-6 PM! Crested Butte: The CB Pick-Up Location is now at Montanya Distillery, 130 Elk Avenue. Gunnison: Upstairs at the ORE Office (202 E. Georgia). Paonia: At the Trading Post Wednesday evening or Thursday anytime. 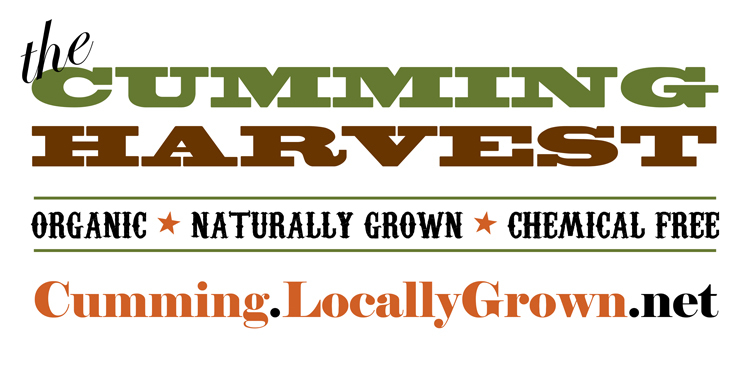 Gwinnett Locally Grown: Raw Milk and Produce Boxes are Back! We had a WONDERFUL market last week, and as promised, here is the beginning of many changes and additions to the market and farm offerings. We can’t do all this without you, so be sure to give us feedback along the way while we work on streamlining all of our offerings we are going to provide. We are glad to see Double B Farm back, and boy did the veggies look great! After suffering a terrible car accident last week, I am grateful we can support this farmer as he jumps back into better health. It was great to see Johnston Farm back with his milk offerings. His cheese was wonderful and so fresh (it’s made the same day). Raw Milk is finally here! We had a waiting list of over 100 of you who wanted to get raw milk (labeled for per consumption). Now that we partnered with Johnston Family Farm our supply has increased, but please get your order in now to make sure you get some. Johnston Family Farm is also offering buttermilk, cream (frozen), chocolate milk and cheese (pasteurized but made fresh). Since their buttermilk and chocolate milk is done in batches of 40 gallons, we need you to order now so you can get your products as soon as that minimum limit is reached. Produce Boxes are coming back! We will be offering these amazing boxes with all certified organic produce very soon! Just to tell you a little bit about how it will work, you will be able to purchase your box(es) through the market and pick up at Rancho Alegre Farm on Fridays from 12-5pm. Stay tuned! Did you know that Dr. Weston A. Price discovered that cod liver oil was considered a "sacred food" by some of the traditional cultures he studied? Now that flu season is here, boost your immune system with the potent antimicrobial agents and vitamins D and A that cod liver oil offers you. Please check their website at www.GreenPasture.com to see their offerings. If you would like to order some of the Wilderness Family Naturals products, please download this form and send it to grow@ranchoalegrefarm.com as soon as possible. The form also contains the price list. Get Social! If you have not done so yet, be sure to follow us on Facebook and be the first to hear about market news, special events, and discounts! Products available include but are not limited to: Fresh Beufort seafood, pork, beef, rabbit, chicken, goat, cheese, raw milk, collards, beets, spinach, mustard greens, jerusalem artichokes, turnips and turnip greens, apples, oranges, pecans, jams & jellies, chow-chow, Windy Hill Donuts, cider, hard cider, wassail,cookies, assorted pastries, breads, prepared foods, quilts, art, jewelry, crafts, soaps, lotions, essentials oils, and so much more. Come check it out. And don’t forget our online farmers market…you can order and get your products either mid-week or pick up at the market on Saturday. If the veggies you need are not listed, email me and we will try to get items for you! vistamarketplace1@gmail.com. That gives you the best of both worlds! Suncoast Co-op: Fresh local food from your own community's farmers. At Peace Hall at corner of Sims Lane and Grand blvd. We will be adding vegetables and harvesting at Peace Hall Learning garden to get ready for the fall season. We are looking for a small group of organizers to also take lead on the garden and make sure its kept full of veggies. If you attend and spend 1 hour or more at the garden we will mark you as attending a Permablitz for future permablitz reciprocity. Join us with any tools you have, wheelbarrows, gloves, water, and your own breakfast or lunch. We will break around 11:30 for lunch. If you feel generous please bring extra food or water for others. Thanks! Join us at the New Port Richey Library for the start of the Critical Thinkers Book Discussion Group. We will be meeting every other Tuesday starting Jan 8. We will focus on topics that shape our views of the future like Permaculture and localization. We’ll look at economic, social, political and philosophical issues that prepare us to be active participants in creating a better world. Our first book is Ishmael by Daniel Quinn. Ishmael is a 1992 philosophical novel by Daniel Quinn. It examines mythology, its effect on ethics, and how that relates to sustainability. The novel uses a style of Socratic dialogue to deconstruct the notion that humans are the pinnacle of biological evolution. It posits that human supremacy is a cultural myth, and asserts that modern civilization is enacting that myth with dangerous consequences. It was awarded the $500,000 Turner Tomorrow Fellowship Award. Join us for a free film showing of Ingreedients. In the documentary film inGREEDients, registered nurse and filmmaker, David Burton, discovers an alarming connection between diet and illness while investigating trans fats and hydrogenated oils in America’s food supply. Do you know what a partially hydrogenated oil is? What does zero grams of trans fat per serving really mean? Find out in this compelling documentary that takes the audience on a time-line journey through the history of human food consumption from prehistoric times to the present, when heart disease is the number one killer of humans and despite recent changes in food labeling laws, pounds of trans fats are consumed everyday. This documentary features interviews with medical doctors, natural health doctors, scientists and researchers, politicians, and the lawyer that successfully stood up against two corporate food giants whose products are household names across America. The film also includes a brief look at heart disease, diabetes, and obesity, the three diseases most directly connected with our consumption of trans fats, chemical food additives, and processed food. With cutting edge animations rarely achieved in low-budget indie filmmaking, inGREEDients will entertain, inspire, and educate all audiences. Steve Lawson, Cleveland, GA. Raw Jersey Milk. His cattle graze on grass, and he also feeds them non-medicated grain and hay during milking time. Mountain Fresh Creamery, Cleveland, GA. Low pasteurized, non-homogenized Holstein cow milk. Cows graze on grass, also feeds grain and hay during milking. Carlton Farms, Rockmart, GA. Raw Jersey Milk. Cows graze on grass, small amt of feed at milking time. No hormones or antibiotics. In order to sell and deliver, these vendors need to sell at least 125 gallons per week. This has been the issue in the past with other dairy vendors and the reason milk isn’t listed. You may visit each of these farms and buy milk directly from them, but my goal is to get one of them to deliver to us for your convenience. Please reply to this email and let me know if you are interested in raw, pasteurized or either, and how many gallons you would order. South Cumberland Food Hub: Time to order! It’s time to order local food. We’re taking orders until noon today. Thank you for supporting your local food hub. I hope you enjoyed our Featured Farmer of the Month article last week. Look for an interview with Cane Creek Farm in February. Enjoy the items listed this week, and if you ever have any problems, questions, suggestions or compliments, please email the market manager. If you came by last week you would have seen Cane Creek Farm as our Farmer of the Day. Chuck Pugh was showing his line of medicinal extracts. They are growing the plants that produce the extract on their farm. BotaniPharm’s growers, including Cane Creek Farm LLC, are all small family farmers, who share a passion for sustainable, organic production. BotaniPharm was launched with a commitment to the values of sustainable production, reliable potency, and uncompromising purity. Look for his products online this week.